The prints are all limited edition reduction linocuts. This means each layer is printed with the same piece of lino; the lino is cut and the first colour printed, then some more of the lino is cut away before the second colour is printed, and so on until the complete image is finished. 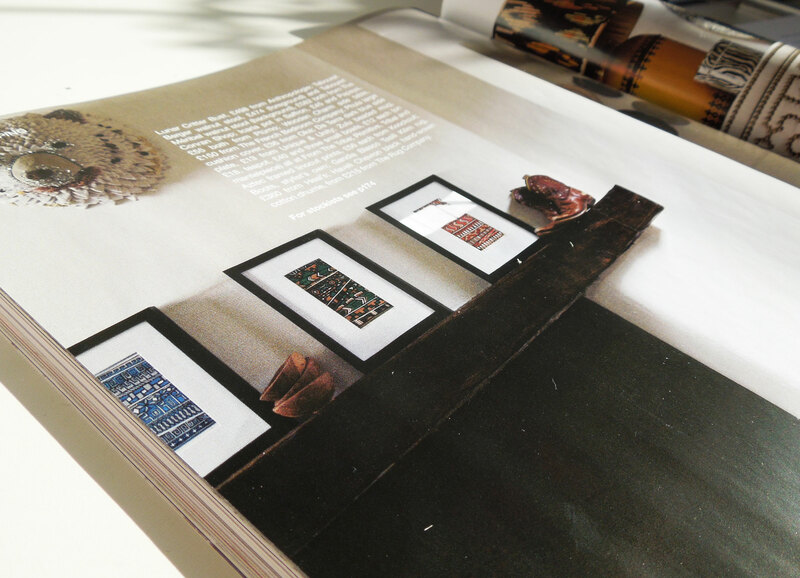 The three prints that are featured in this photoshoot were all based around simple patterns and influenced by tribal and primitive art forms. I’m really proud of these prints so I hope you like them! 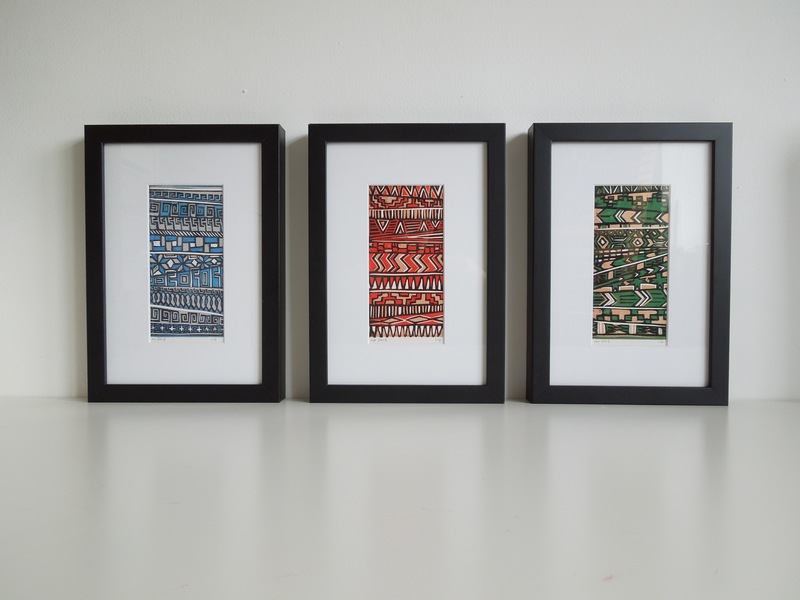 They are available to by on Not on the High Street: Blue Primitive Print, Red Aztec Print, and Green Tribal Print. Or via Etsy.